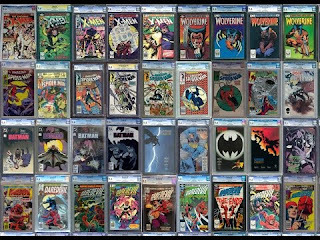 eBay is the largest online auction website and, in my opinion, is one of the best places to find graded comics online. As of this writing, there are over 2.4 million auctions in the comic book category alone. 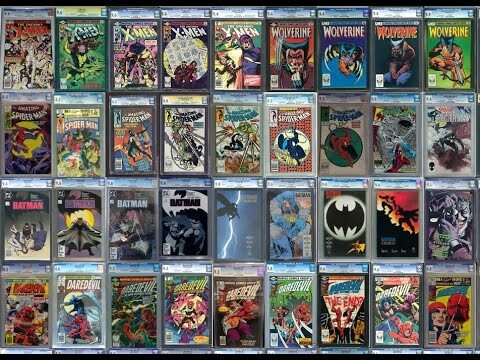 Of those 2+ million auctions, 78,599 are CGC graded, 6,865 are CBCS graded and 4,687 are PGX graded. In total, there are at least 90,151 graded comics for sale on eBay right now. If you really search, you can probably find the best deals on graded comics here. It will be a hunt a it takes some patience, but the deals are there to be had. Besides having a massive amount of comics to choose from, eBay also offers a rewards program. The program is aptly called "eBay Bucks". For every dollar you spend on eBay, they will give you 2% of the purchase price back for future purchases, and the best part about the eBay Bucks program is that it's free to join. Every once in a while, they have 3x to 5x eBay Bucks promotions. If you buy any qualifying items during these promotions, you could earn up to $100 back. That's a lot of moolah. They usually only last for a day or two, but are well worth it if you can find something on your want list. eBay will issue you your eBay Bucks certificate every three months, but there is one small catch. You have to earn at least $5 cash back in order to receive your certificate, but that's easy to do, especially if you buy during one of their 5x eBay Bucks promotions. So in short, eBay will pay you to shop on their website. I often buy my graded comics from eBay because of this program. There aren't many places that will pay you when you buy stuff from them. eBay is a safe way to buy most anything you want too. Most of the time there are no problems when using eBay. On the rare occasion there is a problem, i.e. you never received the item or it's not in the item or condition that was described, you are covered by eBay's money back guarantee. So, shop with the confidence that you won't get ripped off. The only way to buy anything from eBay is through Paypal. If you don't have a Paypal account, I suggest you sign up for one. You can do that at this link here. It is one of the safest ways to pay for things online. You don't have to type in your personal information on multiple websites and having a greater chance of having your identity stolen. Nobody wants to go through that hassle. You simply sign into Paypal through your eBay account and the amount of the auction is taken out of your balance or from either your bank account or credit card account, whichever one you have linked to Paypal. It's extremely easy and convenient. If you want more info on it, you can check out their website. I highly recommend buying graded comics from eBay. Besides the huge selection to choose from, it's safe and it's very easy. If you aren't already a member, click the link below to sign up. Sign up for eBay here.